Shown above are the performers from the 2017 Festival. Evan Arntzen, Adam Swanson and Morten Gunnar Larsen. 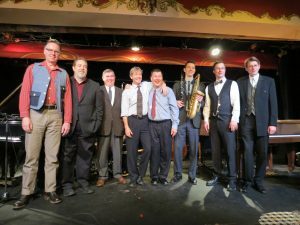 If you like fantastic ragtime and early jazz played on piano and other instruments, plan on spending a few days in Durango, Colorado in late March. This event is held at the Strater Hotel, and lasts three full days. Below is a video I recently recorded. Events include music, lectures, silent movies, and 12 hours per day of fabulous music.